Need to create a monthly report for the Facebook ads you run, but you need a base to build off? 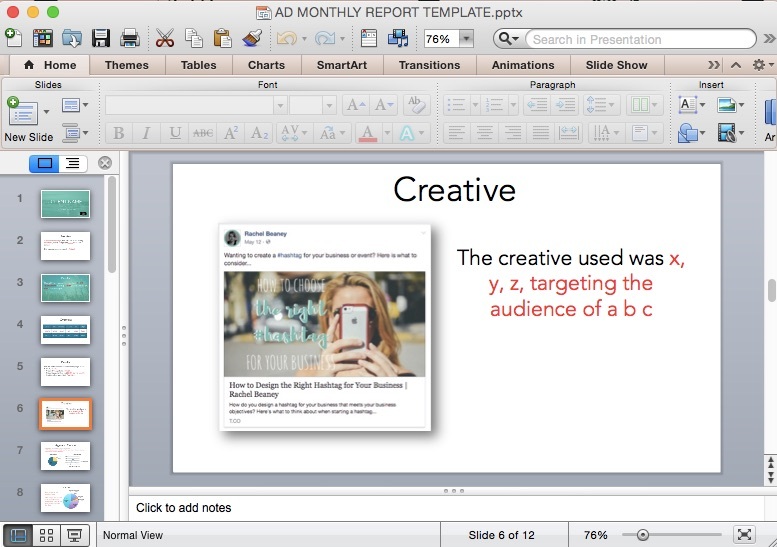 This powerpoint template is an easy-to-customize document, with built in tables and charts covering off all the common items in a monthly report for social media ads. 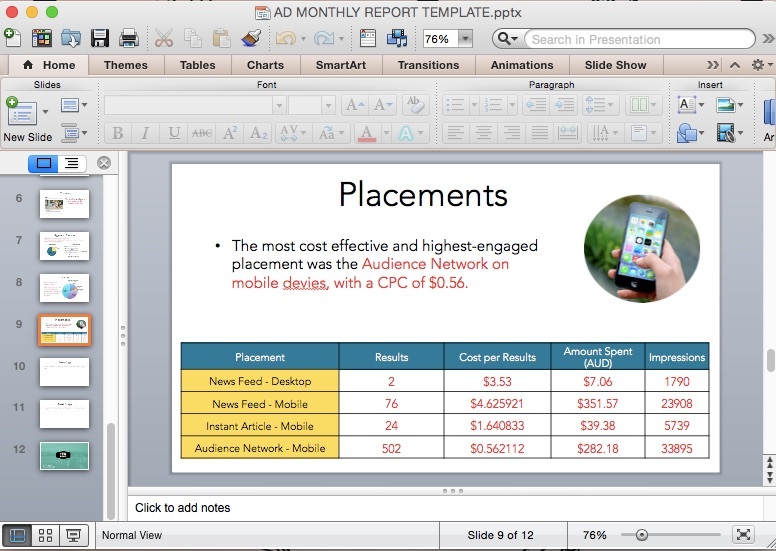 The Powerpoint document is a template you can use to build off for your monthly ads report for clients or your boss. It includes 14 slides, covering the essential slides in a Facebook or social media monthly report, including clickthrough results or impressions, creative, most engaged demographics, locations and placements. Just insert your own data, and this monthly ad report will be yours to love and keep.